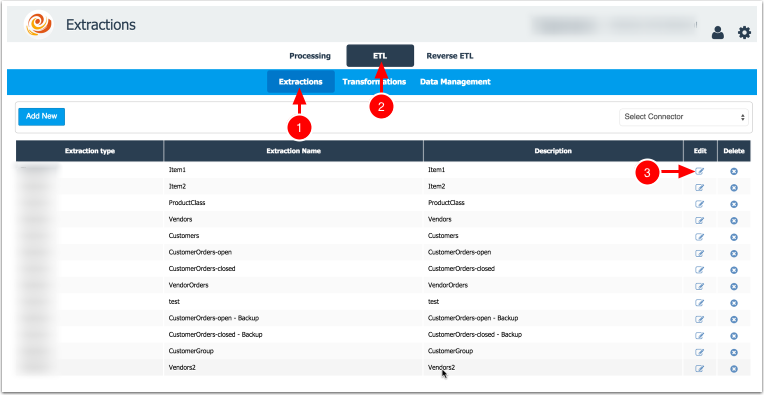 This article describes the process to modify extraction queries in the data hub. Edit the Query in the box. Once complete, click save and continue editing additional queries as needed. 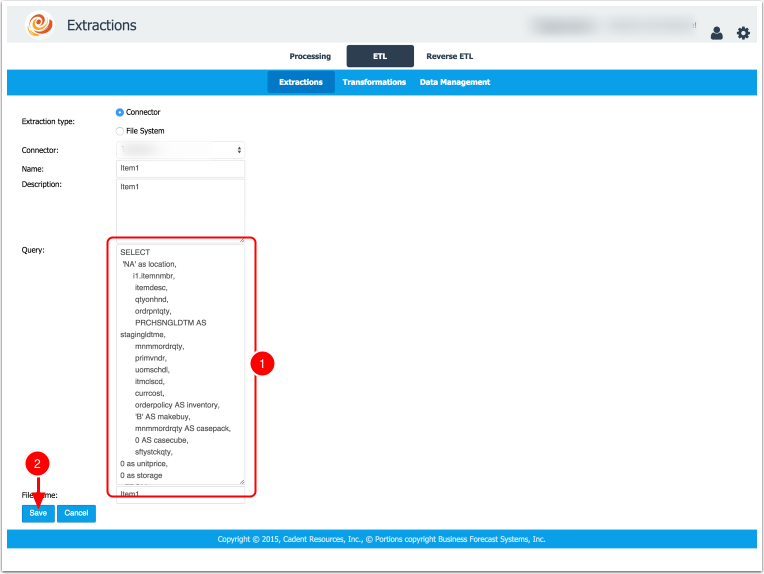 Please note that if any additional data fields are added outside of what is already in the query, please contact DemandCaster support to ensure the field will be transformed and loaded to DemandCaster correctly.